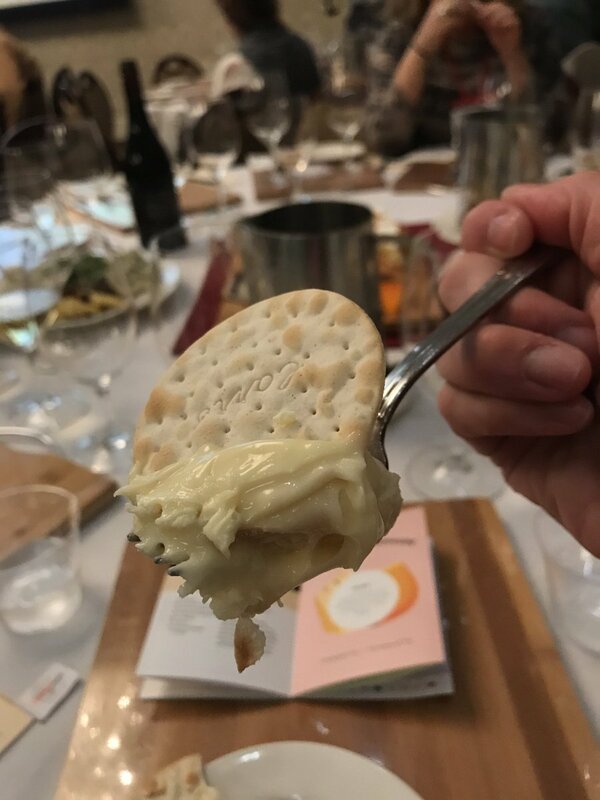 In what was quick to become a highlight of this year’s Wine Bloggers Conference in Walla Walla, WA, the Cheeses of Europe seminar was as lively as it was informative. 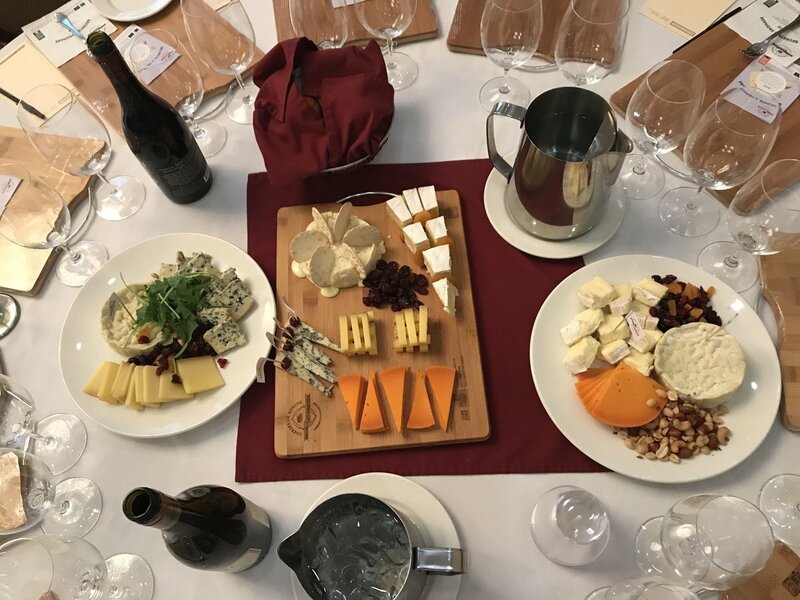 The famous “Cheese Twins,” Michael and Charlie Kalish, served as our experts on wine and cheese pairings and led the packed house through a thorough tasting. Look at this gorgeous spread that filled each table! First, things started off with a little foodie humor. 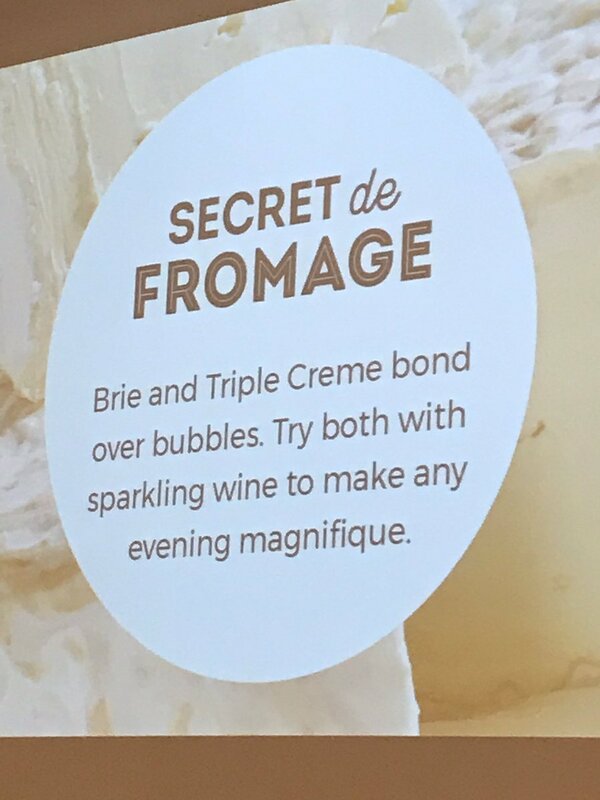 Turns out brie and sparkling wine is a pairing made in foodie heaven. If you’ve never given the combo a try, I highly recommend you do so immediately! Another super helpful tidbit is for those of us who love to craft pretty cheese plates. Want to know the perfect ratio to make your plate look super professional? The secret is to use one ounce per cheese. Now it was time to dig in! Check out this creamy Camembert cheese! Be still my heart! 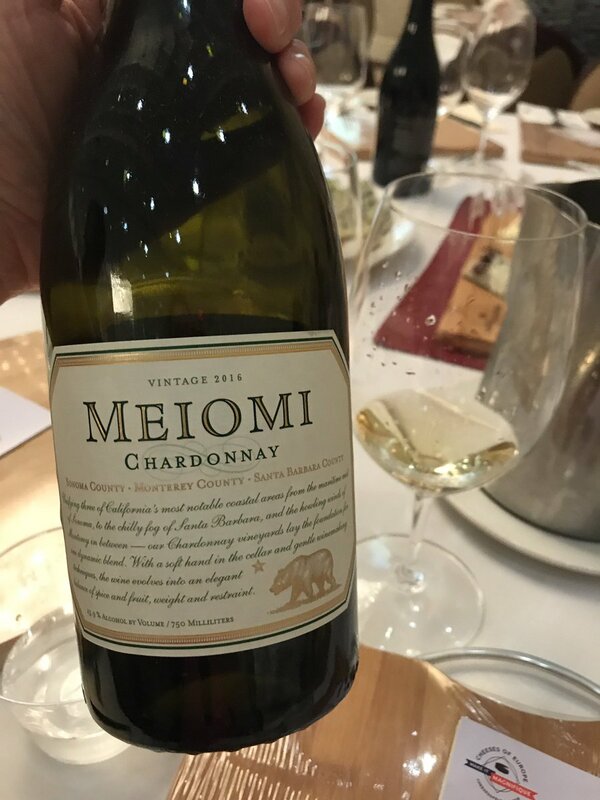 Chardonnay is versatile and acidic, the most versatile white to pair with cheeses. 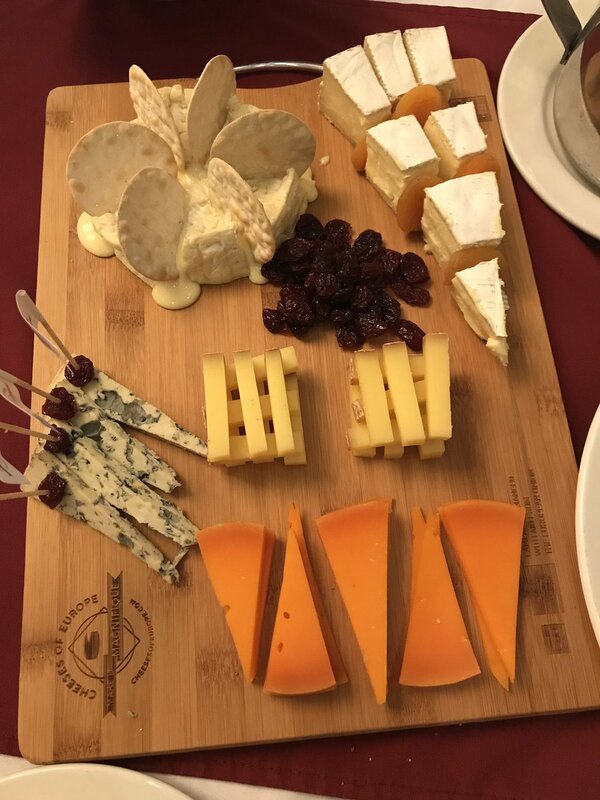 Take note for your next cheese plate! Comte cheese and Chardonnay is THE perfect wine and cheese pairing! Wow! How have we never tried this before? 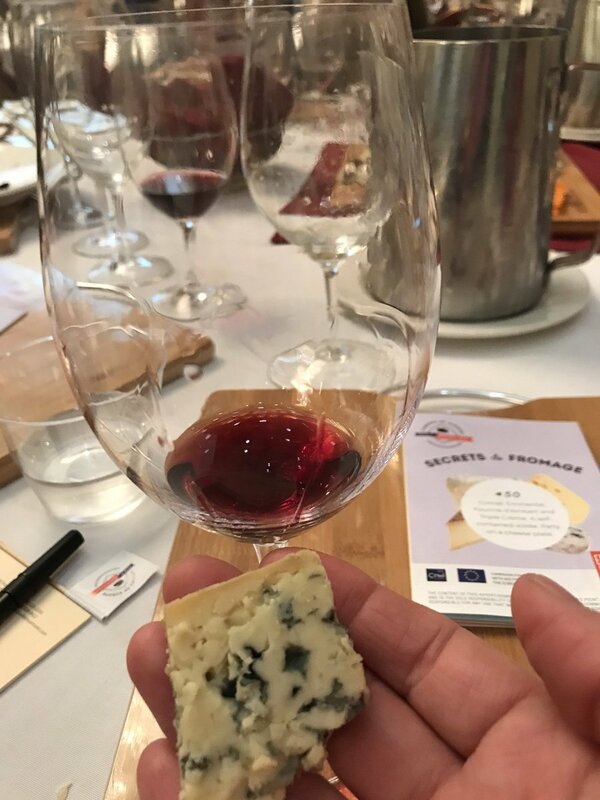 Stinky blue cheese and Pinot Noir? Interesting pairing but it works! This may be my new favorite, and I never would’ve thought to try the two together if not for the Cheese Twins. 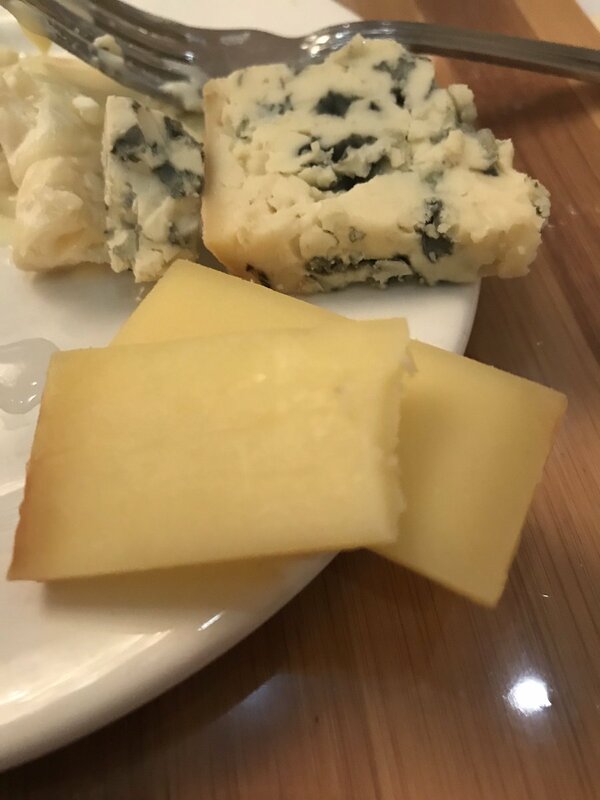 Really guys, this was my favorite cheese pairing ever! 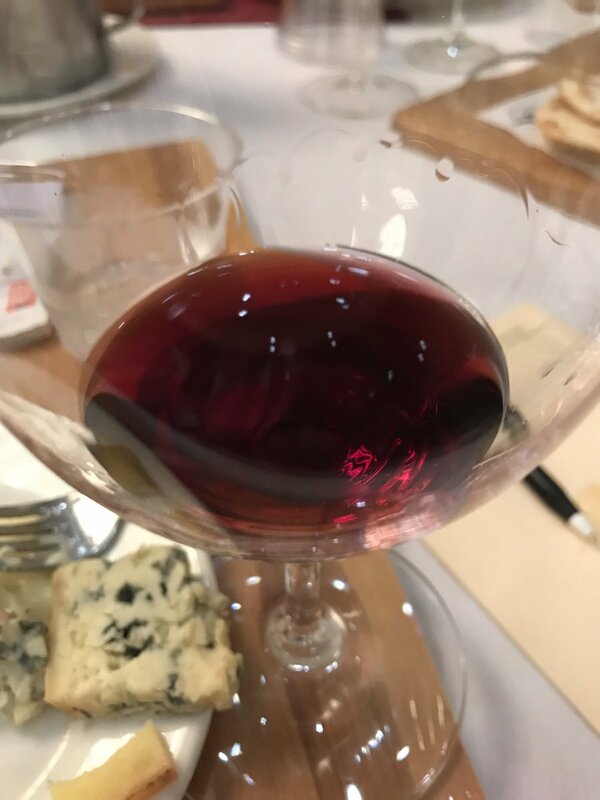 Meiomi Wines Pinot Noir with a Bleu d’Auvergne cheese proved to be an unexpectedly delicious combo. 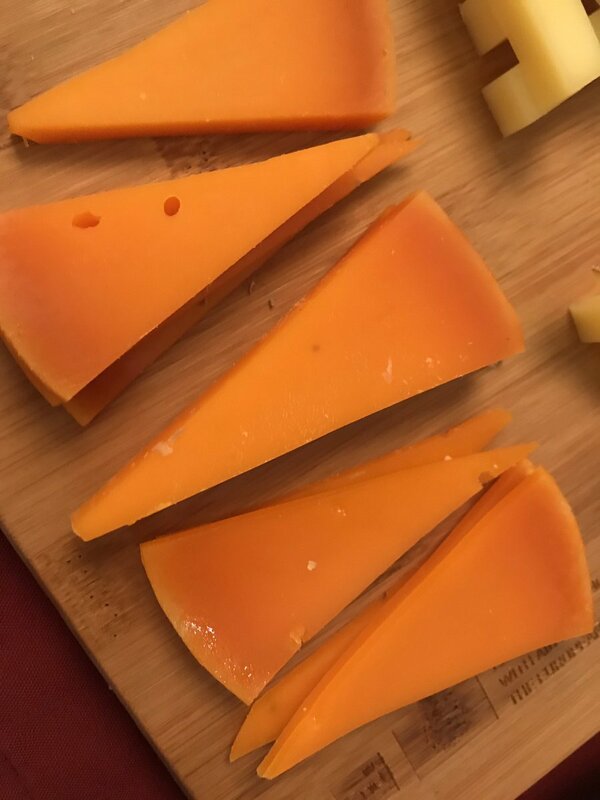 Mimolette is the perfect Halloween cheese because of its beautiful orange color! Even better, it paired well with every wine we tasted, from whites to reds! 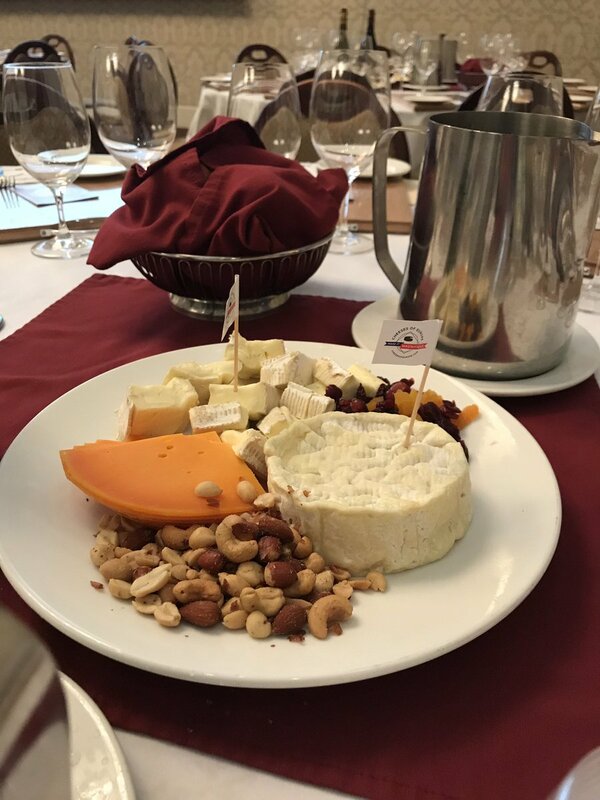 If you’re a cheese lover, don’t be afraid to try unusual pairings with different wines. There are rules, but there also are no rules. 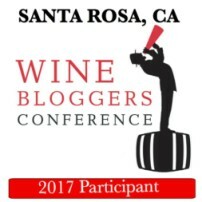 The Wine Twins closed the seminar asking us to think of cheese as 18th Century candy. And that makes sense any way you slice it!